Holiday is over, saw 2 lighthouses. After 2 weeks holiday it's, next Tuesday, time to work. We stayed in the Netherlands and have visited different places. Wijk aan Zee, Amsterdam and Schoorl. From Wijk aan Zee we drove to IJmuiden to take a picture of the lighthouse "high light". Nearly 10 years ago I was by this lighthouse, in that time I had no digital camera. During the stay in Schoorl we drove to Den Oever for a picture of this this lighthouse. Visit Flickr for more pictures of our holiday. 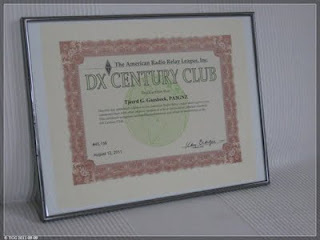 Last week, in a second hand store, I found a new frame for my DXCC certificate. 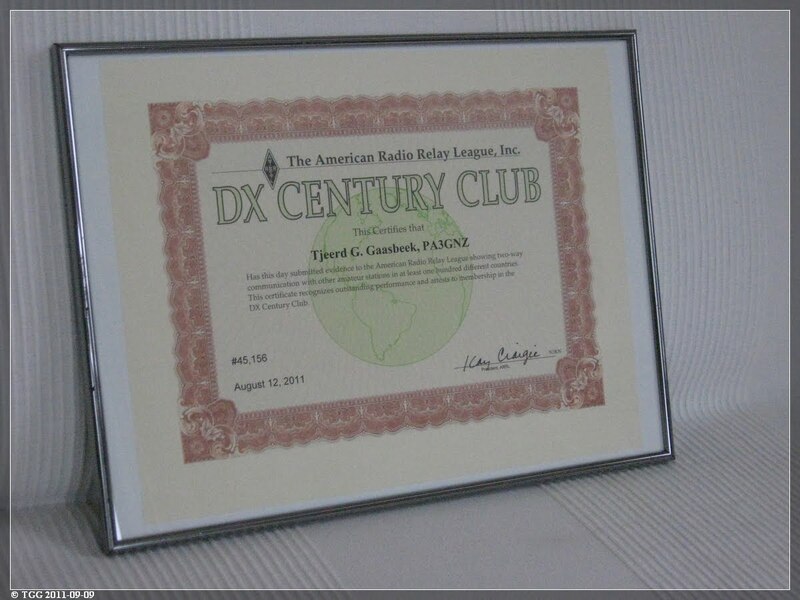 The frame is a little bit larger then the certificate, the small whit border is not a problem for me. Last Saturday I had my own fieldday. My intention was to make more qso's then last year (8). Between 13:00 and 15:30 UTC I made 31 qso's. This with only 2,5 watts from my Yaesu FT817nd with a small battery. The additional support of the pole was now on 3 and 9 meters. The variant off the ZS6BKW/G5RV antenna was mounted in the middle about 10 meters high. I used the antenna as an inverted V.
Nice weather and a lot of fun.